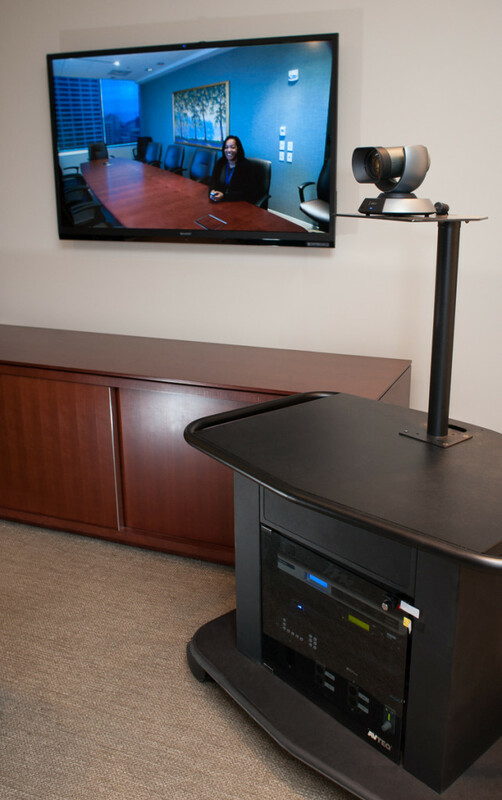 When the law firm of Marshall Dennehey was moving its headquarters to a larger space, they knew they wanted to incorporate high-tech video conferencing in their meeting rooms. The new solution needed to allow attorneys and the board of directors to connect easily over video from different offices. In addition, many attorneys participated in a trial advocacy program where they needed to be filmed conducting direct, cross and closing remarks. Marshall Dennehey needed flexible meeting spaces to record these sessions, conduct board meetings and mock trial exercises, all using HD video. 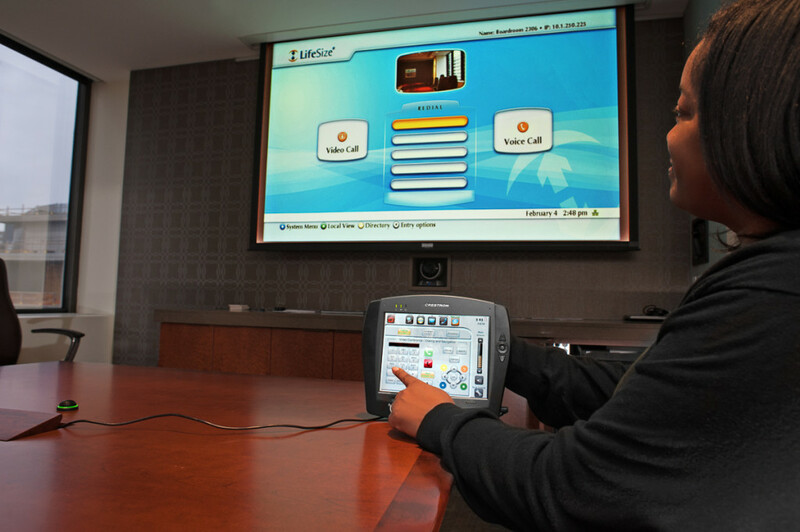 Marshall Dennehey partnered with AV expert Cenero to create both a multi-point video conferencing system in their main conference room and a flexible, mobile solution that could move around as needed across their other two meeting spaces.